Leather If you would like leather on your sofa, give us a ring on our free phone number 0808 1783211 or email us at orders@sofasandstuff.com. Hardwood construction, glued, screwed and dowelled. Traditional upholstery and deep buttoning. Serpentine seat springing covered with foam. Foam pad with feather wrap. 2 x luxurious duck feather interior scatters are supplied with this sofa, with zipped covers as standard. If you would like a different colour of the fabric you have chosen as a contrast scatter cushion for your sofa, give us a ring on our free phone number 0808 1783211 or email us at orders@sofasandstuff.com. Stripe, check & pattern fabrics may not be cut & upholstered exactly as depicted on this website as each item is individually hand made for you. Solid walnut feet in dark colour finish. did you know we can upholster our sofas in any fabric in the world? want a custom made bespoke sofa just for you? visit a sofa showroom or call 08081 783 211. Why choose furniture from Sofas and Stuff? click on the sections below to get more information on buying a high quality, handmade British sofa, bed or chair. 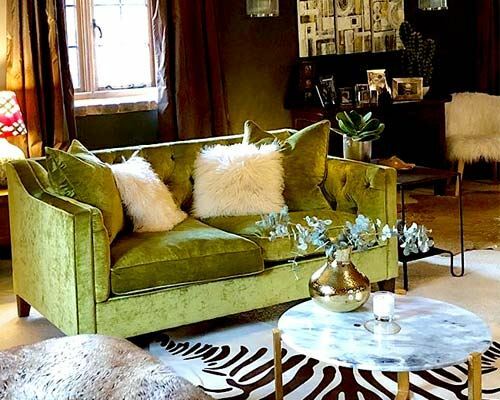 In our sofa showrooms, we morph rapidly from being an online retailer of sofas, to a literal wonderland of colour, shape & texture, where people who adore sofas, chat and spend their days. Our sofa Workshops are just outside Nottingham; we are pretty obsessed with British is best... at least when it comes to all things Sofa. Need to touch and feel the fabrics before you pick your perfect handmade british sofa? We've got a huge selection of sofa fabrics and we can send you upto 8 of them absolutly free! Simply go to our Free Fabric Samples page and pick the samples you want. We make all our handmade sofa collection in our factory in Nottingham. We're pretty proud of this, because the UK- and our factory in particular - is still a powerhouse of furniture-making, creating really beautiful, great quality sofas using traditional skills that have been honed over hundreds of years. This means we get our sofas to you quickly. There is no hanging around waiting for a container from China, or a truck from Europe. In fact, we deliver in about half the time of most of our competitors, in approximately 30 days. Fancy a beautiful velvet devoré? A 50's linen print? A Scottish wool plaid? Once you have chosen your shape and your fabric online or in a sofa store, your sofa order will be in production in our factory directly, with no expensive middleman and no chain. Speak to us, and that special size one of a kind settee, to fit the sitting room bay window will also not be beyond our capabilities. We are completely obsessed by creating well-made, beautiful British sofas that have been made- as far as possible- in the UK. Well-priced, very high quality sofas, beds and chairs that look fabulous and last well. We have also been making sofas for more years than Andrew our MD likes to admit. Since the 1980s, in fact. In that time we have made well over 180,000 sofas and we are pretty good at it. We offer a Fuss Free returns policy and then back it up with our lifetime guarantee on all our frames and springs because we believe in our furniture. We know how good it is, so we have no hesitation in offering a guarantee. We keep our prices keen because we only sell via our website or our beautiful barns in the country or warehouse-style city stores, avoiding high street overheads. Parking is right outside, plentiful and free, so you can browse our showrooms in peace. 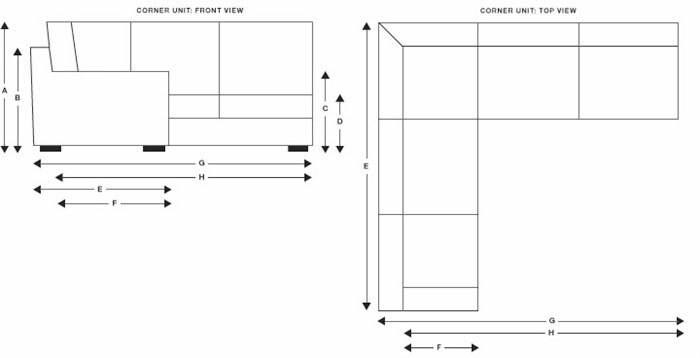 When you are ready for some help you can discuss sofa shapes and your fabric options over a freshly-brewed cup of coffee with knowledgeable advisers who will not pressure you. You can have a handmade sofa delivered to your door in around 8 weeks. We charge £69 for delivery to anywhere in mainland England, Wales or Scotland, except if you live in hard to reach areas of the UK which may cost just a little more. 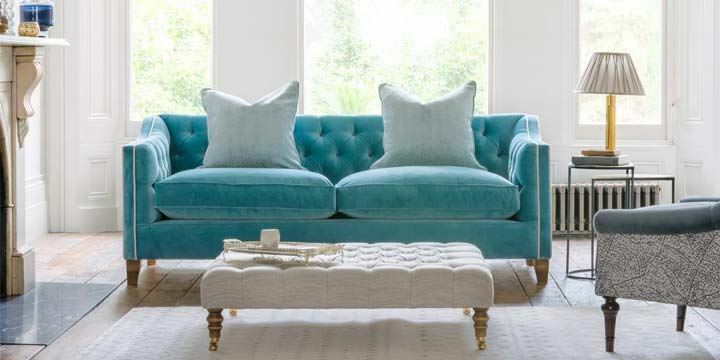 If you’re not sure about your sofa in situ we offer a fuss free returns policy on anything ordered online. We are proud to offer a lifetime guarantee on the sofa frames and springs in our sofas, chair and beds. No problem is too big or too small, we will sort it out for you. 0% Interest Free Credit is available across our sofa ranges, making that dream design more affordable. 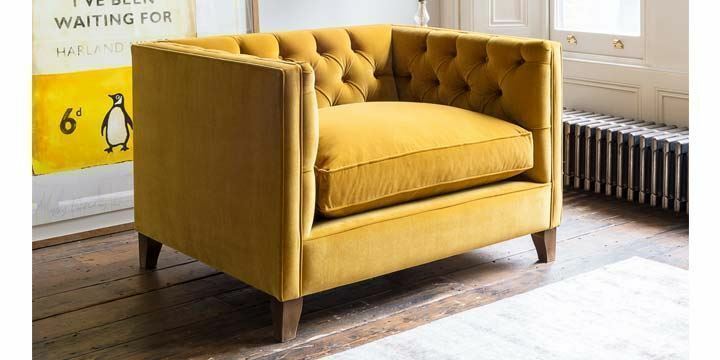 If you find a bespoke British sofa, corner unit, chair, footstool, bed or sofa bed, of an equivalent design and fabric, at a lower price, we will always match it. Our brochure is packed full of interior inspiration and sofa styles to make you swoon, showcasing our bestselling sofas, beds, corner-units and more. We have 12 nationwide sofa stores, each with our expert interior design consultants on hand to guide you to your unique, bespoke design.